We’d love your help. Let us know what’s wrong with this preview of The Road to Winter by Mark Smith. To ask other readers questions about The Road to Winter, please sign up. Set sometime in future Australia, climate change has caused the weather to become wilder and the seas to rise and asylum seekers are doled out to farmers to work as slaves. When a virus wipes out a large proportion of humanity, a boy called Finn finds himself alone, after the death of his parents and the rest of his small Victorian coastal town, with only his dog for company. He has survived largely through catching seafood and rabbits, growing a few vegies and through rationing the dwindling st Set sometime in future Australia, climate change has caused the weather to become wilder and the seas to rise and asylum seekers are doled out to farmers to work as slaves. When a virus wipes out a large proportion of humanity, a boy called Finn finds himself alone, after the death of his parents and the rest of his small Victorian coastal town, with only his dog for company. He has survived largely through catching seafood and rabbits, growing a few vegies and through rationing the dwindling stack of canned food his father hid before his death. Apart from swapping some food with an old man on another property he has seen no one for two years when a teenage girl shows up being chased by a group of men called 'wilders'. After Finn helps her get away, she persuades him to go in search of her sister. This is an excellent debut YA novel and a great start to a new series (perhaps trilogy?) about survival after a viral apocalypse. The plot is simple but engaging and the main characters are gutsy and interesting. It had been around two years as far as he could work out, since Finn had been on his own with just his dog Rowdy for company. He and Rowdy made a good team, and Finn’s ability to trap rabbits and catch abalone and crayfish meant they ate reasonably well. But the danger of the Wilders finding them was always there. Since the virus had killed almost everyone in his little town, including his parents, Finn knew he was better off alone. The one thing which kept him sane was the occasional surf in th It had been around two years as far as he could work out, since Finn had been on his own with just his dog Rowdy for company. He and Rowdy made a good team, and Finn’s ability to trap rabbits and catch abalone and crayfish meant they ate reasonably well. But the danger of the Wilders finding them was always there. Since the virus had killed almost everyone in his little town, including his parents, Finn knew he was better off alone. The one thing which kept him sane was the occasional surf in the nearby ocean. The day he spotted the stranger hurrying towards him, Finn knew trouble had finally arrived in his world. And the young girl’s terror at the men who were chasing her meant his immediate decision was to help her. Ramage, leader of the Wilders was determined to get Rose and her sister Kas back into their clutches. But the girls had been separated and Rose was injured and desperate. Could Finn keep Rose in hiding long enough to escape Ramage? With a cunning born from desperation, Finn and Rose devised various means to stay safe. But they were only kids, and the people after them were men who were also desperate. Would the two youngsters survive? And would they be able to find Kas who was more than likely lost in the bush? Wow! Stunning! The Road to Winter is the debut novel and first in the Winter series by Australian author Mark Smith, and I absolutely loved it! Extremely well written, the setting in the Australian bush was authentic – the central characters down to earth and real. At the forefront is the fight for survival; but there is also friendship and trust. Set for a Young Adult audience, nevertheless an adult audience would enjoy this novel equally as well. (I haven’t been in the YA age group for many years!) I’m also looking forward to book #2 very much! Highly recommended. With thanks to NetGalley and the publisher for my digital copy to read and review. A simple storyline told in cleanly written prose. The freshness here came from the very interesting characters; young adults who are mature enough to understand their world, but still retain a certain youthful hopefulness. There wasn't anything particularly new about this story, but I loved the way it was told. The main characters are very real and filled with life. I loved that even with the expected unkindnesses of a post-apocalyptic world, there were so many characters who still retained their A simple storyline told in cleanly written prose. The freshness here came from the very interesting characters; young adults who are mature enough to understand their world, but still retain a certain youthful hopefulness. 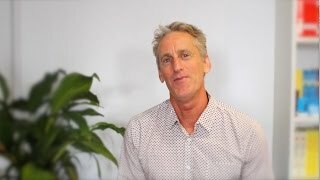 The Road To Winter is the first book in the Winter series by Australian teacher and author, Mark Smith. Finn Morrison is fairly certain he is sixteen. Apart from his dog, Rowdy, he has been on his own since his mum succumbed to the virus about two years ago. His dad, Tom died earlier from injuries sustained while helping to defend the supermarket from looters. Finn is the only one left in the coastal town of Angowrie, and he survives on the rabbits he traps, the seafood he catches, the vegetable The Road To Winter is the first book in the Winter series by Australian teacher and author, Mark Smith. Finn Morrison is fairly certain he is sixteen. Apart from his dog, Rowdy, he has been on his own since his mum succumbed to the virus about two years ago. His dad, Tom died earlier from injuries sustained while helping to defend the supermarket from looters. Finn is the only one left in the coastal town of Angowrie, and he survives on the rabbits he traps, the seafood he catches, the vegetables he grows and the store of non-perishables and fuel that his dad cleverly stockpiled before things got bad. Finn stays sane by playing with Rowdy and by going surfing when he gets the chance. When Rose runs onto his beach, injured and fleeing from a violent gang, Finn makes a split-second decision to help her. In hiding from the people he refers to as Wilders, Finn shares food and shelter with Rose. They also share their stories, although Rose is less forthcoming than she might be. But she is insistent that they must find her sister, Kas, who is on the run from Ramage and his Wilder band. Smith’s portrayal of the post-virus coastal Victoria is utterly believable; his plot may seem predictable, but has enough twists to keep the reader engrossed; his characters have depth and appeal, despite their flaws. Finn appears resourceful and mature for a teenager, but occasionally his judgement belies his age. The ending is no cliff-hanger, but readers are bound to want to know what next will happen to Finn and his companions. Set in the small coastal town of Angowrie, The Road to Winter chronicles Finn's experience surviving after a deadly virus which has wiped out most of the population. His trusty dog is his only companion, as he hunts, cooks and fishes for survival. I dislike blurbs that compare books with others', because it was nothing like Tomorrow When the War Began. It's more of a survival story where Finn stumbles an Afghani refugee called Rose which leads him to a mission to find her sister. Through his mis Set in the small coastal town of Angowrie, The Road to Winter chronicles Finn's experience surviving after a deadly virus which has wiped out most of the population. His trusty dog is his only companion, as he hunts, cooks and fishes for survival. Through his mission, he needs to learn to prove himself and gaining the trust of a survivor group, while also escaping the clutches of Rose's owner. There's lots of complications along the way, particularly with Rose's condition and the terrain they have to cross. The Road to Winter doesn't have a particularly strong plot so I wasn't sure where the story was going. It's more of an experiential read set in a vivid Australian bush town, with rock pools, surfing, rocky terrain and small town neighbours. There's also a distinct lack of information around the virus that hit and what happened to the town and the people, which would have been good for some back story. The pacing was off, particularly for the romance which happens quite suddenly with barely any development. All bets are off as soon as Finn calls the girl beautiful and all of a sudden they're kissing. As a 16 year old boy, Finn is great at survival and hunting which makes him perfect for the setting. I wanted to know more about what made him this way other than just listening to his parents. I didn't really know much about his family, his thoughts and motivations, outside of him just wanting to survive and to help Rose. He seemed a bit too perfect of a character. There's also quite a bit of detail missing, and for half of the book I was confused about why they had Willow, a little girl travelling with them. She seems to phase in and out of the story and had no significance whatsoever. My favourite part of the book was undoubtedly Finn's dog, who shows his loyalty in many ways. I love dog characters and kind of felt sad that his injuries weren't really dealt with later on the book - one of many loose ends which aren't really dealt with. I also thought it was important how the book touched upon Afghani refugees who were being used as slaves. Even after the virus hit, they were still viewed as subpar human beings by the other survivors and it was great that Kas and Rose lead most of the story. The end of the book is filled with emotion, but fizzles out at the ending due to the lack of a strong plot. 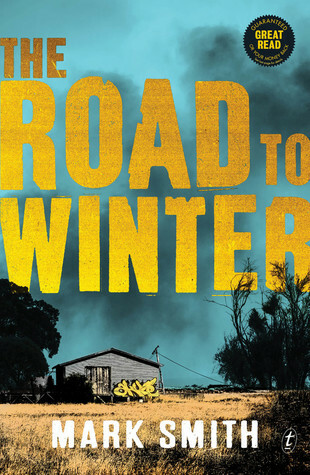 The Road to Winter is a snapshot of survival in a small Australian coastal town after the apocalypse. While it provides a vivid landscape and a true Aussie feel, it doesn't delve too deep in terms of character development. With no strong plot, it's more of an experiential read which will appeal to younger readers. The Road To Winter was so much more incredible than I though it was going to be. I see now why the publisher has a money back guarantee on this. I loved it! Finn has survived on his own for the past two years, hiding out with his dog and a secret stash of food and fuel. He catches rabbits and surfs to past the time, just surviving. And then a girl comes along, needing Finn's help. The Wilders, a gang of men who terrori The Road To Winter was so much more incredible than I though it was going to be. I see now why the publisher has a money back guarantee on this. I loved it! And then a girl comes along, needing Finn's help. The Wilders, a gang of men who terrorize anyone and everyone to get what they want, want the girl. Finn keeps the girl, Rose, hidden, and by doing so, has brought danger into his life. Rose has been separated from her sister, and is determined to find her. Finn agrees to help Rose find her. But Rose is carrying a huge secret - a secret set to change everything. The Road To Winter was an exciting read with many twists and turns to keep you holding your breath. I was hardly able to put it down! Finn with his growly voice, so human, so life-like, sunk deep into my heart. He was so brave and caring, and willing to do what was right. There is a beautiful start to a surprising love story, which I adored, and I'm so glad it went the way it did. This book was so wonderfully written, so intense, so emotion packed, so action packed, a fantastic story with an ending that had me begging for more!This was an incredible story. Mark Smith is a talented writer and I can't wait to read more of this book. The Road To Winter was a wonderful read that lured me in with it's premise and left me wanting more. Finn is a remarkable young man. Having lost his mother two years ago to the virus spreading across the country, his father passing as a result of a violent outbreak in town, Finn's only company is his canine companion Rowdy and the sound of the waves which beckon him. He's self sufficient, hunting, fishing and trading his fresh catches with a local farmer in exchange for fruit and veget 3.5 Stars. The Road To Winter was a wonderful read that lured me in with it's premise and left me wanting more. Finn is a remarkable young man. Having lost his mother two years ago to the virus spreading across the country, his father passing as a result of a violent outbreak in town, Finn's only company is his canine companion Rowdy and the sound of the waves which beckon him. He's self sufficient, hunting, fishing and trading his fresh catches with a local farmer in exchange for fruit and vegetables. It's a meager existence and he's simply surviving rather than living. Until he meets Rose. Rose's fear is palpable. She's on the run from the Wilders and escaped when she and sister Kashmala were separated and is desperate to find her before the viscous Ramage and his Wilders find them both. Although weary to share her story, Rose's life has been a traumatic struggle of imprisonment and ownership. Having arrived in Australia as an asylum seeker, the girls were given to a local family while adults were placed in detention centers. Siley's are owned by Australian families, used to work on the land and denied an education or a basic duty of care. I loved the social messages woven throughout the storyline. It touches on the social injustice of basic human rights and the plight of refugees within Australia, gently and with care. The barren Australian coastline was vivid, a simple existence that captivated with so few words. But as much as I had enjoyed the storyline overall, the backstory felt lacking. As a reader, I need to know how the portrayed world came to be, why does the virus effect more females than males? Before communication was left abandoned, how far did the virus spread? Finn himself also talks about how his town assumed there would be government intervention, a cure or precautions to help stem the deadly virus from spreading. Were capital cities effected? I can understand that a character of sixteen is unable to provide answers, apart from bigoted speculation that those seeking asylum had brought the virus to our shores. I hope that book two in the currently unnamed series is able to provide more information as the storyline progresses. Overall, it was a quick, yet entertaining read. Although Finn's character is likable, I wanted to feel an emotional connection to his character but couldn't quite get there. It could be that I tend to find the female perspective more enjoyable as a narrative, but that's simply personal preference. Regardless, a wonderful debut and I look forward to reading the next series installment. What an intense page turner! Even the quiet moments are infused with a sense of menace because the threat of the Wilders is never far away. There are strong echoes of Cormac McCarthy’s The Road, although this book is unmistakably Australian - right down to the speculation around where our nation’s attitude to asylum seeks may lead us. It’s not as bleak as The Road (a book I greatly admire), and there’s no cannibalism (so far! ), but Mark Smith reminds us how easily our veneer of society might slip What an intense page turner! Even the quiet moments are infused with a sense of menace because the threat of the Wilders is never far away. There are strong echoes of Cormac McCarthy’s The Road, although this book is unmistakably Australian - right down to the speculation around where our nation’s attitude to asylum seeks may lead us. It’s not as bleak as The Road (a book I greatly admire), and there’s no cannibalism (so far! ), but Mark Smith reminds us how easily our veneer of society might slip away in the wake of a catastrophic, world-changing event. This is an excellent dystopian YA novel, where the Australian landscape is beautifully rendered in all its glory and danger. Trigger warnings: violence, death, murder, death of a parent (in the past), horrifying attitudes towards refugees and immigrants, medical crisis, (view spoiler)[death in childbirth (hide spoiler)]. I've been meaning to read this book for literally years now. And I liked it, but I also wanted more from it, you know? A lot of this felt like set up. It's not a very long book - barely over 200 pages - and so once you've done the worldbuilding and the character introduction, there's not a huge amount Trigger warnings: violence, death, murder, death of a parent (in the past), horrifying attitudes towards refugees and immigrants, medical crisis, (view spoiler)[death in childbirth (hide spoiler)]. I've been meaning to read this book for literally years now. And I liked it, but I also wanted more from it, you know? A lot of this felt like set up. It's not a very long book - barely over 200 pages - and so once you've done the worldbuilding and the character introduction, there's not a huge amount of time left over for an actual plot. Brilliant! Australian young adult fiction at its best. 5 well deserved stars. I won the 2nd book ‘Wilder Country’ in a Goodreads Giveaway and just had to rush out and borrow ‘The Road to Winter,’ the first in the ‘Winter’ series from my local library as I do not read a series out of chronological order. Mark Smith’s debut novel The Road to Winter is a stark tale of country Australia set in the future where most of its population has been wiped out by a mysterious virus. The story follows Finn, a Brilliant! Australian young adult fiction at its best. 5 well deserved stars. Mark Smith’s debut novel The Road to Winter is a stark tale of country Australia set in the future where most of its population has been wiped out by a mysterious virus. The story follows Finn, a boy of 16 who is left to fend for himself along with his dog, Rowdy. The Wilders, a gang under the control of an evil man named Ramage are hunting down Sileys (asylum seekers). They’re searching for one person in particular, Rose. Rose escaped from captivity, she hides out with Finn after he stumbles across her at the beach and from there the fight is on to survive. From start to finish my heart was pumping and pounding and my breath I’m sure was held until the final word. Post viral apocalypse survivor Finn has been living off the land for 2 years, alone with his dog avoiding the marauding Wilders. When a girl running from captivity stumbles across his path everything about his lonely yet orderly existence is thrown into chaos. A fast, page turning, adrenaline ride tapping into all your lizard-brain fears and instinct for survival. The stakes are sky-high, the odds are dreadful, and the characters are immediately believable, relatable and engaging. The social com Post viral apocalypse survivor Finn has been living off the land for 2 years, alone with his dog avoiding the marauding Wilders. When a girl running from captivity stumbles across his path everything about his lonely yet orderly existence is thrown into chaos. 'The Road To Winter' is set in Australia in the near future where a virus has wiped out most of the population. This action packed story follows 15 year old Finn, an orphan, and his fight for survival. I won Mark Smith's book though Goodreads Giveaways. I'm looking forward to reading the second book in the series when it is released later this year. Taut, tense, tight and textured. More post-apocalyptic, than dystopian. MC Finn is a quality character to follow. His instinct for survival honed over two years of solitary, careful existence is safe but oh so lonely. Very much incomplete, with more books to follow. Finn is on his own. It's been that way since a mysterious virus wiped out huge numbers of the population and the survivors left town. He's learnt to be careful in order to survive and to avoid the Wilders, violent scavenger gangs who roam around. But then he meets a girl called Rose who is trying to escape from the Wilders and Finn has to figure out if his own survival is more important than helping someone else. I love dystopian fiction. As a bonus, this one is set in Australia - I love Australi Finn is on his own. It's been that way since a mysterious virus wiped out huge numbers of the population and the survivors left town. He's learnt to be careful in order to survive and to avoid the Wilders, violent scavenger gangs who roam around. But then he meets a girl called Rose who is trying to escape from the Wilders and Finn has to figure out if his own survival is more important than helping someone else. This wasn't an awful read, but unfortunately, it struggled to keep my interest. There were parts of this that dragged because of it, and I spent a lot of it feeling quite bored. It just wasn't one that gripped me, which was a shame. Overall, Not awful, but not one I loved. 4.5 stars! I read this book as I wanted a new novel for my year 9 English class who aren't exactly enthusiastic about reading, especially the boys. I did a lot of research and stumbled across this novel. It ticks plenty of boxes since firstly it’s Australian, secondly has a male protagonist and thirdly contains plenty of action. The author Mark Smith wrote the novel wanting to engage teenage boys. I really think he’s hit the nail on the head. I look forward to reading the next in the series and 4.5 stars! I read this book as I wanted a new novel for my year 9 English class who aren't exactly enthusiastic about reading, especially the boys. This book took me by surprise. I was expecting another tired,formulaic dystopian novel and what I got was a well-written, thoughtful and genuinely engaging story populated with vivid and interesting characters. Finn is a boy living on the edge. After his family, most of his coastal town and indeed it seems Australia, has fallen to a devastating disease, he survives. A loner before the pestilence, Finn has adjusted to his new life with his dog, Rowdy, killing his own food, growing some, and tradi This book took me by surprise. I was expecting another tired,formulaic dystopian novel and what I got was a well-written, thoughtful and genuinely engaging story populated with vivid and interesting characters. Finn is a boy living on the edge. After his family, most of his coastal town and indeed it seems Australia, has fallen to a devastating disease, he survives. A loner before the pestilence, Finn has adjusted to his new life with his dog, Rowdy, killing his own food, growing some, and trading with his surviving neighbour, Ray, who grows more veggies and has chooks. Ray and Finn stay out of each others way most of the time, because there is another group of survivors, Wilders, who think they run the place. They treat women (who are rare now as the disease hit them worst) as possessions, tagging them with ID chips to keep tabs on them. With Finn's recount of how the disease took hold, and the breakdown of society that followed, Smith has a deft touch. Enough detail to be compelling, but nothing gratuitous either. We understand that Finn has survived with a combination of cunning, stealth and, it must be said, some fortuitous planning by his parents. And I have to say, Rowdy is the PERFECT name for Finn's dog - inspired writing right there! Then, seemingly out of nowhere, Rose arrives. Nineteen year old Rose is a terrified escapee from the Wilders compound, with a secret I won't reveal here - but it's a doozy. She and her sister, Kas, have become separated and Rose believes the Wilders have recaptured her. Begging Finn to help her rescue Kas, Rose wins him over and they set off on a dangerous mission to take her back. The Wilders are in pursuit of Rose, so Finn is left with no choice but to help her - to save himself as well. I like Finn - he is independent, but vulnerable - with a yearning for his old life characterised by sneaking away to surf. Something that kept me in touch with my old life. It's dangerous, not because of anything in the water but because of what's on the land - who might arrive in town while I'm caught up enjoying myself. But it's a risk that's worth taking to stay sane. With its boy-and-his-dog, a girl appearing from nowhere, and band of rabid testosterone-driven yahoos, this book had shades of Patrick Ness's The Knife of Never Letting Go, so if you enjoyed the Chaos Walking series, you might like this one. I am interested to see where the next installment takes us, as our protagonists are in more peril than ever by the end of the story. I dithered between four and five stars for this and landed on 5, yes I would read this again, pretty sure I'd enjoy it just as much next time too. I'll even read the next one when it comes out, that is something, I'm bad at series reading. In a grim future Australia, where the seas have risen and then a virus has swept through, killed millions and pretty much wiped out the population - especially the women, life is very tough and lonely for 16 year old Finn. His family are all gone but left him w I dithered between four and five stars for this and landed on 5, yes I would read this again, pretty sure I'd enjoy it just as much next time too. I'll even read the next one when it comes out, that is something, I'm bad at series reading. In a grim future Australia, where the seas have risen and then a virus has swept through, killed millions and pretty much wiped out the population - especially the women, life is very tough and lonely for 16 year old Finn. His family are all gone but left him well prepared, he has a great cache of supplies but is in constant danger of being attacked. He has a dog for company, I always love the dog characters and this one is no exception. Finn has made a life for himself, hunting rabbits, fishing, surfing and eking out an existence on what he can find when his routine is totally disrupted by the arrival of a group of 'Wildings' who are tracking a girl. This injured and vulnerable girl is Rose, and she needs Finn's help, she is stroppy and damaged and Finn is overwhelmed but kind to her. She is searching for her sister and Finn is unable to resist helping her to find her. What I loved so much about this book was the fact that it is not only a really well written dystopia, but that has much to say about current Australian politics. Rose and her sister are Siley's, slang for asylum seekers, originally from Afghanistan, they are treated as slaves on farms and in factories as a way of solving the asylum seeker problem. Mark Smith makes his politics clear on this topic but not in any kind of preachy way, but in a humanitarian way which makes you think. It is interesting to see these issues tackled in this way, often there are bright red pointy arrows to an authors politics but in this case it is way more subtle. If I was looking for a book to share with students in a class setting I think this would definitely be one I'd consider. It is full of contemporary issues, would enable lots of really good class discussion. I also really appreciated the format of the book and even though it is not a long book it really does look like an adult novel. That is a rare thing, in fact when I bought it I didn't realise that it was a YA novel, and it needn't be, this is a book for everyone. Text publishing are doing such great work in this field, I'm full of admiration for them. I think it will appeal to the same audience who liked Station Eleven, The Passage etc and it will be a book I'll throw at reluctant seniors who need something grown up but short. It is gritty and wonderful. Bring me the second one soon please. Although The Road to Winter has been compared to Tomorrow When the War Began I must say...this book is in its own league. It's a fast read with a range of diverse characters and give you a new look at a broken world. It's set in Australia (woohoo!) on the coast where a young boy lives with his dog (THE DOG IS OKAY GUYS). He surfs, he catches fish, he's living the dream - well the dream for a country that was wiped out by a pandemic leaving groups of wilders and outlaws to roam the country taking Although The Road to Winter has been compared to Tomorrow When the War Began I must say...this book is in its own league. It's a fast read with a range of diverse characters and give you a new look at a broken world. It's set in Australia (woohoo!) on the coast where a young boy lives with his dog (THE DOG IS OKAY GUYS). He surfs, he catches fish, he's living the dream - well the dream for a country that was wiped out by a pandemic leaving groups of wilders and outlaws to roam the country taking whatever they want. This was a quick read that keeps you on the edge of your seat. The writing isn't anything amazing but the descriptions are good enough that you read this book like you're watching a movie in your mind. So much happens and there are countless plot twists. This book is pitched as Tomorrow, When the War Began for a new generation but unlike the Tomorrow series, this book just fell kind of flat for me. It was written well but it just didn't grip me. For me it felt like it didn't have enough explanation as to why things were they way they were. And I'm assuming there will be more books so that could obviously be fixed up as it often is in series. Oh and I have to say the at the start I got some Maze Runner and 5th Wave vibes which is probably why it This book is pitched as Tomorrow, When the War Began for a new generation but unlike the Tomorrow series, this book just fell kind of flat for me. Oh and I have to say the at the start I got some Maze Runner and 5th Wave vibes which is probably why it didn't remind me of the Tomorrow series. Terrific read in the spirit of Aussie master of the genre of teen survivalists, Ivan Southall, and later John Marsden. Finn has learned to survive on his own after a virus claims the life of his parents and township, until a mysterious runaway, Rose, seeks shelter with him. Smith keeps up a pacey read that will keep his 12+ readers engaged and hanging for this next instalment. Smith carefully builds a slightly different world, with some thought-provoking commentary on refugees that is both insightful and heartbreaking. These are small, deft touches that make a difference to the way the book comes across, and work very well. Read the rest of my review at READING TIME. A really exciting book set in a dystopian Australia where a virus has killed off most of the population and gangs of thuggish Wilders roam enslaving and killing. Sixteen year old Finn has to survive on his own. This book is going to be very popular with teens. The Road to Winter (Text Publishing 2016), the debut novel by Mark Smith, Author, is a great YA story that ticks all the right boxes for that age group, but will nevertheless appeal to adult readers also. Set in Australia after an apocalyptic event – a virus has wiped out a large chunk of the population – we meet 15-year-old Finn who has been living alone for two years on an outback property, fending for himself after the death of his parents. With only his dog, Rowdy, for company, Finn traps ra The Road to Winter (Text Publishing 2016), the debut novel by Mark Smith, Author, is a great YA story that ticks all the right boxes for that age group, but will nevertheless appeal to adult readers also. Set in Australia after an apocalyptic event – a virus has wiped out a large chunk of the population – we meet 15-year-old Finn who has been living alone for two years on an outback property, fending for himself after the death of his parents. With only his dog, Rowdy, for company, Finn traps rabbits and goes fishing and foraging to survive. He still finds joy in surfing, and some of the book’s loveliest passages depict the ocean and the waves, and the act of communing with nature through the surf. But this is not a book of quiet contemplation – this is a tense and well-plotted action-driven narrative that keeps the reader on the edge of the seat. The dangerous gang patrolling the outskirts – the Wilders – are ruthless, desperate, cruel and savage. When an injured girl comes to Finn at his isolated location for help, he must make some difficult choices. The characters in this novel are extremely well drawn, and we care about each of them right from the very first pages. And there are bigger issues at play here too: that of climate change, and of refugees (there is a whole class of ‘Siley’s’, asylum seekers, who are abused, bought and sold like slaves, and treated with no dignity or respect in what is a frighteningly accurate extension of current attitudes. The book is in fact dedicated to: ‘… all those who have sought refuge, only to be met by closed hearts.’) While the heroic David against Goliath efforts of Finn and others will resonate with adolescent readers, the wider themes of the novel will appeal to anyone with a social conscience and concern about the current direction of social policy. This book raises issues of friendship and new love, of survival instinct and sacrifice, of betrayal, of determination and grit. It is all about how far you would go to help someone else, especially if it puts your own life in danger. For the first few chapters I really did not think I was going to enjoy this at all. I think it was just the style of writing that put me off but the book as a whole ended up being quite good. The book starts off telling us about the virus that hit the world and wiped out most of the population, and how the main character, Finn, survived after losing his parents. One day whilst surfing on the beach he meets a young girl, Rose, who is on the run from a group of "wilders" who are wreaking havoc throughout the country. Finn agrees to help her try and escape them and find her sister, who she lost a few days before whilst on the run from them. I won't say much more than that but the pace of the story really picks up from that point and is where it starts to get more enjoyable. The two things that I make a book really enjoyable are the characters and setting. I loved every character in this book, even the villains. Finn was a strong lead who had been through a lot and I really liked him, along with Rose and her sister. Ramage was a great villain, who, despite not having much at his disposal like antagonists in other similar novels, still managed to be quite terrifying. It was maybe because you don't see him a lot in the novel, but hear a lot about him from Rose, and so he never really seems to disappear and you always know he was hot on the characters' heels. The setting was good, but with the descriptions given I often found it difficult to build up images in my head, and I felt with a little more description this could have been better. Not much detail is given to the mysterious virus and this is something I would have liked to have known a little more about.